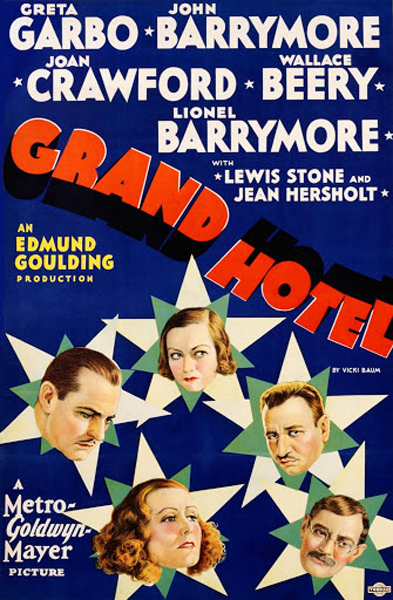 One of the greatest early sound films, Grand Hotel (1932) also developed techniques that would contribute to the process of set manipulation and production within a film. 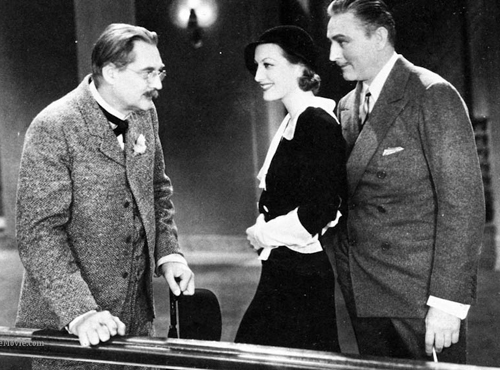 The hotel lobby scenes featured a three hundred and sixty degree desk, adding a revolving vantage point around the action, giving the film a less stagy feel. 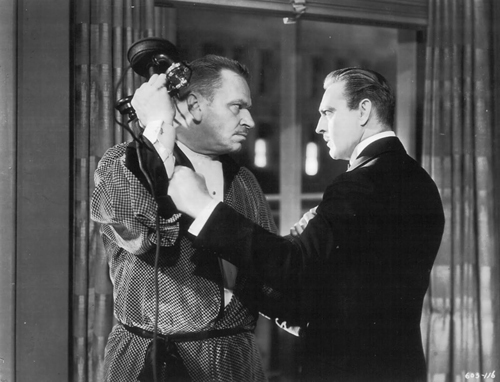 The dialogue is sharp and elegant, and the format of the film became so well known, that any movie featuring a group of characters in a busy place with overlapping stories is called a "Grand Hotel Theme." 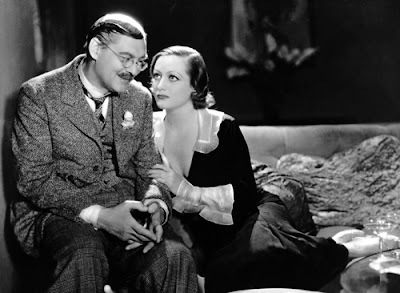 The cast is all excellent, including Greta Garbo, John Barrymore, Joan Crawford, Wallace Beery and Lionel Barrymore.